The United States Attorney’s Office for the Middle District of Pennsylvania has announced that Arvco Container Corporation of Kalamazoo, MI has agreed to pay $400,000 to settle False Claims Act allegations in connection with a contract with the Defense Logistics Agency (DLA) in New Cumberland, PA.
Arvco Container Corporation (Arvco) violated subcontract limitations imposed by federal regulations and the terms of a contract to provide corrugated boxes to the federal government from August 3, 2010 through August 3, 2014. 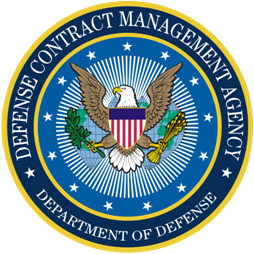 The contract was awarded by the DLA to Fibre Technologies LLC (Fibre) located in Reading, PA. The contract was set-aside for eligible HUBZone small businesses in accordance with program requirements administered by the U.S. Small Business Administration (SBA). Federal regulations and the terms of the contract limited Fibre’s ability to subcontract the manufacturing of the boxes to no more than 50 percent. Arvco performed 100 percent of the manufacturing requirement. Arvco’s gross profits for the performance of the contract total $246,682 which will be returned to DLA. Arvco also agreed to pay a civil penalty amount of $153,318. Limitations on subcontracting provisions in federal contracts are designed to ensure that otherwise ineligible businesses do not use small or disadvantaged businesses merely as vehicles to access set-aside contracts. 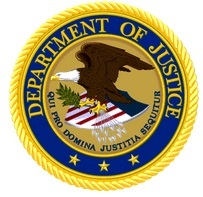 This case was investigated by the U.S. Attorney’s Office for the Middle District of Pennsylvania, the SBA’s Office of Inspector General, and the Defense Criminal Investigative Service. Readers are reminded that the claims resolved by the settlement are allegations only, and there has been no determination of liability. Executives from a company responsible for providing food and water for deployed U.S. troops in Afghanistan have been charged with defrauding the government and creating a fake construction site to overstate progress on an $8 billion contract, the Justice Department said in a recently filed indictment. The allegations came four years after the company’s predecessor pleaded guilty to criminal charges that it inflated prices for basic items that it sold to the U.S. military. Both cases emphasize how the U.S. military has struggled to curb abuses of U.S. defense spending in America’s longest-running foreign war as the U.S. military presence in Afghanistan enters its 17th year, analysts said. On Nov. 27, the Justice Department charged Abdul Huda Farouki, Mazen Farouki and Salah Maarouf — three Virginia residents who worked with a Dubai-based company called Anham Fzco — with defrauding the U.S. military under an estimated $8 billion military supply contract. Nothrop Grumman Corp. on has agreed to forfeit $27.5 million under the False Claims Act while acknowledging that some employees inflated their work hours on bills for two battlefield communications contracts with the Air Force. The Falls Church, Va.-based Northrop Grumman Systems Corp. agreed to settle over charges on the Air Force’s Battlefield Airborne Communications Node contract and the Dynamic Re-tasking Capability contract awarded during July 1, 2010, and Dec. 31, 2013. That action resolves allegations that the firm “billed the Air Force for labor hours purportedly incurred by individuals stationed in the Middle East who had not actually worked the hours claimed,” Justice said. Two Florida executives made their initial appearance in federal court on Sept. 7, 2018 on charges related to falsely-labeled hard body armor plates they provided to the United States government. According to allegations in the indictment, Dan Thomas Lounsbury, Jr., of South Palm Beach, is the founder, sole owner, and CEO of Tactical Products Group, LLC (TPG), a Florida-based manufacturer and re-seller of various products to military, law enforcement, and private security clients. Andres Lopez-Munoz, 34, of Boynton Beach, is TPG’s Vice President for Sales and Federal Contracting. In 2012, TPG was selected as a sub-contractor on a contract to provide certain goods, including ten sets of hard body armor plates, to the United States government. The government had requested a specific type of plate, and Lounsbury and Lopez-Munoz both knew that no substitutions were allowed. Furthermore, Lounsbury and Lopez-Munoz both knew that these plates would be used to protect government personnel. The consequence of a failure of body armor is death or serious bodily injury. Nevertheless, Lounsbury and Lopez-Munoz worked together to procure cheaper substitute plates, and then to put fraudulent labels on these substitute plates falsely stating that they were the type of plates that the government had required. Some of these cheaper substitute plates were far outside their warranty period, were not as protective as the false labels claimed, and had the potential to “delaminate,” meaning that the adhesive binding the layers of the body armor plate could fail, under certain conditions. Lounsbury and Lopez-Munoz are both charged with conspiracy to defraud the government with respect to claims and wire fraud. Lounsbury is additionally charged with false, fictitious, or fraudulent claims. If convicted, they face a maximum penalty of 20 years in prison. Actual sentences for federal crimes are typically less than the maximum penalties. A federal district court judge will determine any sentence after taking into account the U.S. Sentencing Guidelines and other statutory factors. Readers are reminded that an indictment contains allegations that a defendant has committed a crime. Every defendant is presumed to be innocent until and unless proven guilty in court.